In Early Years our most recent results show that nearly 80% of our children at the end of Lower Kindergarten (Reception) have made an expected or exceeding level of progress overall. This is above both national and local statistics. 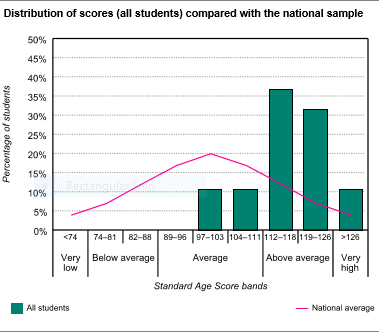 The table below shows that our children achieve levels beyond the National Average in all the areas of learning. 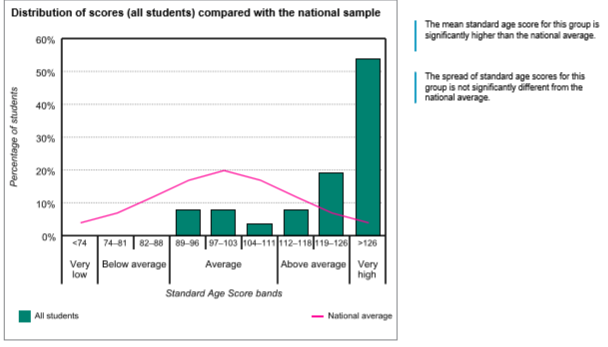 Our Key Stage 1 and Key Stage 2 data in English and maths shows that the vast majority of pupils achieve age related expectations or exceed them in our non- selective learning environment. The choice of the next school is a very important decision. How can one be sure that one school would be better than another? Simply because one particular school is higher up the table than another does not mean it would suit your child. We are pleased to be able to talk through our thoughts with our parents as we know our children extremely well and can offer insight to guide them through the process. At the end of our two-form Key Stage 1, many of our children stay to join the one-form Key Stage 2 classes, which offer a broad, exciting curriculum where children feel comfortable and nurtured and flourish at their own level and in their own way at every ability level. We advise parents of suitable choices if they opt to take 7+ examinations and help them to select from the large range of Prep schools. The most popular parental choices are schools which have senior schools. Thus moving at 7 with the intention of staying until 18. At 11+, the range opens up with the possibility of electing to follow the state school path. The choice will be Grammar, Community or Faith schools. Whilst we have no input in this selection process and the entry will be by examination, location or sibling policy, we have a wide ranging knowledge and extensive profile of suitability for our individual children and do everything possible to ease pressure and prepare them for the process. We can work with the family to find the most suitable Independent School and then offer our support through written reports and contact with the school. It can be a stressful time, but we endeavour to encourage the child to work hard, and give them the confidence required to do well and if the correct decision regarding the schools entered are in place, the future will be happy and productive. Our English and Maths results in Summer 2018 from both the end of Year 2 and Year 6 are significantly higher than the national average as shown below. 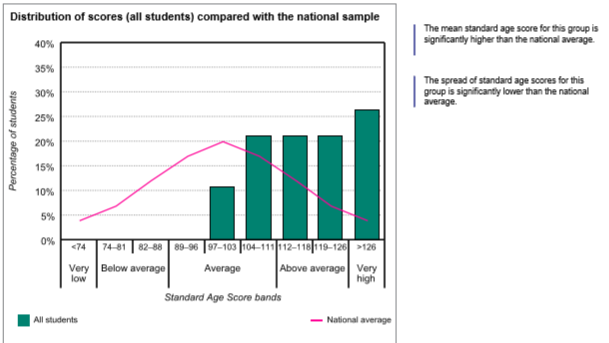 The green bars show Goodwyn’s results firmly within average to very high categories compared with average national results depicted as a pink line. Belmont, Channing, Haberdashers’ Girls, Immanuel, St Clement Danes, St Margaret’s Bushey and University College. Scholarships were awarded to pupils at Belmont, Immanuel and St Clement Danes (for Music). Places were also gained at City Boys, Haberdashers’ Boys, Mount House, St Margaret’s NW3 and South Hampstead High. 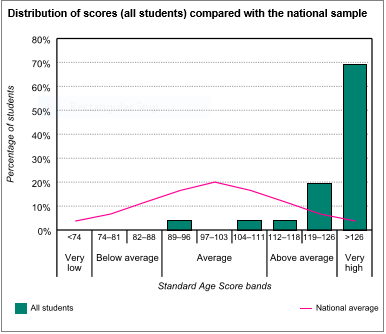 Many pupils sat for more than one school and overall pass rates were 75% of all exams sat. Pupils who opt for State Schools are praised for their approach and attitude to work and are often placed in top sets. Belmont, Haberdashers’ Boys, Haberdashers’ Girls, Lyndhurst, South Hampstead and University College.